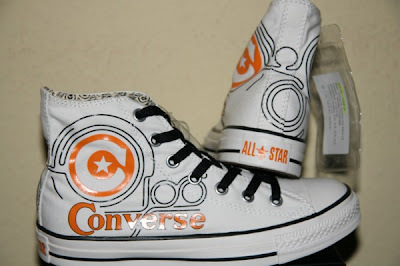 It's getting closer and closer to the beginning of the Converse Century celebration for 2008. 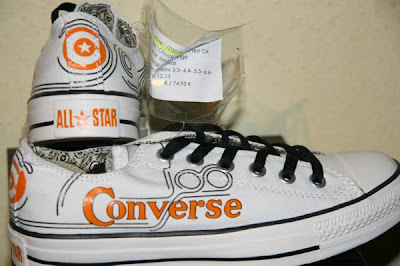 Recently I've been posting some products and information regarding 100 years of Converse. 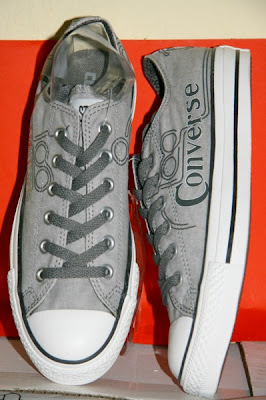 Today I will continue that with a look at the Converse Century Chucks, High and Ox. 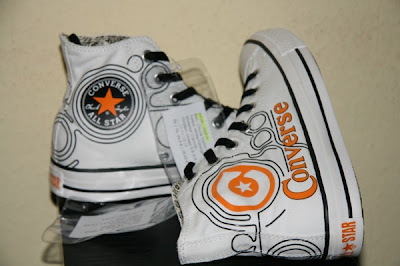 Pictured first is the High top in a white/orange/black colorway. 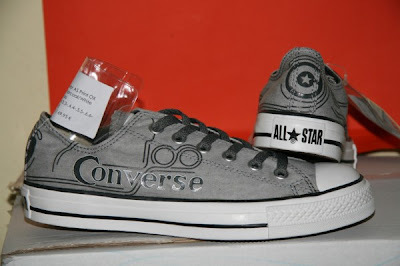 On the side you'll see the Converse Century logo, Converse and 100 written in black. In the second picture you'll see the Chuck Logo patch. That's it for today, have a happy Monday. 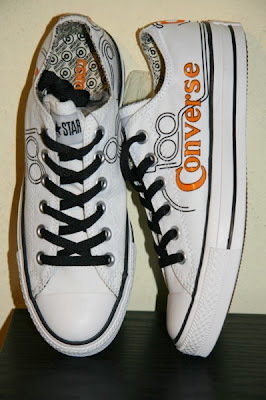 Thanks for checking out the Converse Blog!